Neem Oil is an extract from the Neem tree, Azadirachta indica (Meliaceae) that has been shown to affect over 200 insect species including whiteflies, thrips, leafminers, caterpillars, aphids, scales, beetles, true bugs and mealybugs. It works differently from other insecticides: it is not an instant, knock down pesticide. The ingredients in Neem Oil are similar to the hormones that insects produce, and when Neem enters the bug’s system, it blocks the real hormones from working properly. Insects “forget” to eat, to mate, or they stop laying eggs. Some forget that they can fly. If eggs are produced they don’t hatch, or the larvae don’t moult. Obviously insects that are too confused to eat or breed will not survive. The population eventually plummets, and they disappear. 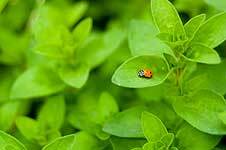 Ladybugs are predatory insects that feast on aphids (plant lice), but also prey on pests such as soft-scale insects, mealybugs, spider mites and other harmful bugs. And they are cute! Pyrethrin is derived from the flowers of a species of chrysanthemum imported mainly from Australia and Africa. It is a fast-acting contact insecticide that repels or kills insects that are present, then it degrades rapidly in the environment leaving no residue. Nolo Bait™ is a grasshopper suppression agent made of flakey wheat bran sprayed with a suspension of distilled water, a sticking agent, and Nosema locustae spores. It is nontoxic to humans, pets, wild animals, birds, fish or life forms not closely related to grasshoppers. 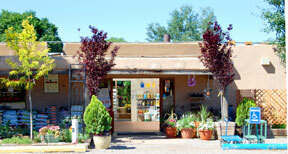 It won’t harm beneficial insects. Dipel Dust is excellent for organic control of caterpillars and worms. It doesn’t harm beneficial insects like honeybees, earthworms or ladybugs while it does control tomato hornworm, looper, webworm, armyworm, and many others. Diatomaceous Earth is a remarkable, all-natural product made from Diatoms (think tiny counterparts of todays Sand Dollars) which are ancient, tiny ocean crustaceans which die and settle to the bottom building up thick deposits over time. 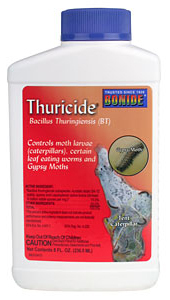 It works on aphids, thrips, earwigs, silverfish, ants, fleas, ticks and is helpful in dealing with fungus gnats. Bacillus thuringiensis (Bt) is a unique bacterium in that it shares a common place with a number of chemical compounds which are used commercially to control insects important to agriculture and public health. This bacteria is ingested by insects with chewing mouth parts like grasshoppers and caterpillars. The bacteria disorients the insect and they begin to feed on each other thus eliminating themselves in the process. If they survive and lay eggs, the bacteria is carried on to the next generation. Payne’s professional staff will help you choose the right product for your situation. If you’re not sure what’s causing the problem, bring samples of the leaves or other effected parts to either of our Garden Centers so we can diagnose the likely problem and make recommendations.